So, most of you have probably seen news of the stir created by a SeaWorld dolphin that nipped a little girl who was feeding it. You have to feel sorry for the girl, but she and the family at least learned a little something from the dolphin perspective on a life spent begging for food from paying tourists (and thankfully, the damage doesn’t look too bad). 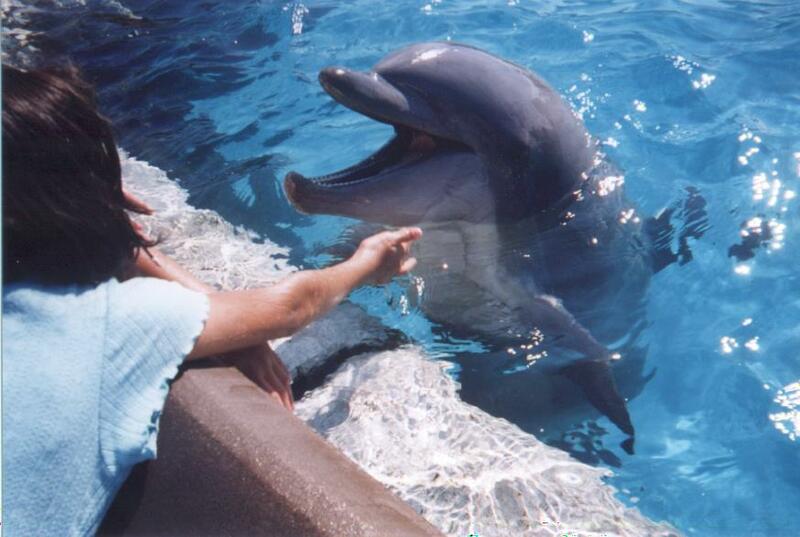 If you want to know how odious the “petting pool” moneymaking strategy is, then I recommend “Biting The Hand,” an excellent report from Whale and Dolphin Conservation that explains the problems and dangers to both the petters and the pettees. I don’t have much to add, other than to say petting pools (and this little girl) are one more example of how all the people who head to marine parks because they “love” dolphins do not really love dolphins. They just love the idea of being with dolphins, and having a relationship with a dolphin (superficial as it might be). What they never seem to consider is what their “love” (and willingness to spend money to fulfill their fantasies) means for the dolphins. That is not real love, and it would be nice if more parents would explain that instead of indulging their little dolphin-lovers. Two things: the little girl was holding the fish tray and not even paying attention to the dolphin; and in recent years these dolphins have increasingly received more and more of their total base of food from these public feedings, so you have hungry animals. SeaWorld charges ridiculous prices for just 4-5 smelt so it’s a huge money-making venture. Not ideal for the animals in a lot of ways, including it not being a proper way to manage healthy weight. The more dominant dolphins get most of the fish so you see overweight animals and this type of management causes aggression when you condition animals to compete for food. I hate it. when feeding the dolphins at Sea World, before you start they instruct you to never pick up the empty fish tray, to leave it on the edge and a staff member will come pick it up. Guess this is why, it helps to follow directions. That’s a key detail, thanks. Though you are dealing with a lot of little kids, so I guess it really falls to the parents to be vigilant about how he kids handle the fish trays. Hoping that this helps increase people’s awareness of the fact that dolphins do NOT belong in captivity!!! !